According to Mark Mardell’s blog on the BBC News website, West Midlands in Europe, our local money-guzzling Euro-quango, have been busy hosting a climate change seminar in Brussels. And if this event is the one on their calendar (no point trusting the ‘What’s New’ section, they barely put a date on anything and much of it is decidedly old), it was named the conference “For Green Transport”. Even if you were to put aside the cost of this sort of thing (which no doubt involved flying out various experts and putting them up in hotels, refreshments, taxis, the lot) it’s difficult to imagine an event or an issue further removed from the concerns of ordinary council taxpayers. Household bills are escalating and some people are genuinely struggling to keep up with council tax rises; schools are failing to educate; libraries are closing down; bin collections are infrequent, complicated and unreliable; planning applications (even for some sheds!) face mountains of red-tape. Parochial stuff in some cases, but these are the issues that often matter the most to people. People are less concerned about green transport, of that you can be almost certain. Even less concerned with talking shops that endlessly rake over such issues to no avail, and with no power to action half of the measures they discuss. 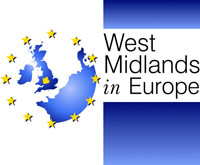 For all West Midlands in Europe can do about climate change, they may just as well be dancing about it as talking about it. They should leave such discussions to global leaders, and divert taxpayers’ money back to where it is needed.